ASHLAND, OH - Despite spending Tuesday campaigning in Ohio, Republican vice presidential nominee Mike Pence will be rooting for the Chicago Cubs against the Cleveland Indians in the World Series. Republican vice presidential candidate Mike Pence isn’t pandering to supporters of the Cleveland Indians as they go into game one of the World Series against the Chicago Cubs despite spending all day campaigning in Ohio. Pence pitched the ball from the front of the cabin to the back of the plane where reporters sit without hitting any of the Secret Service agents in between. Nonetheless, several reporters visibly flinched as the ball came towards them. The team hasn’t won a World Series since 1908, when Teddy Roosevelt was president, decades before Mike Pence, Donald Trump or Hillary Clinton were born. Politicians haven’t always stuck with their teams. During the 2016 Republican presidential primary, Carly Fiorina was endlessly mocked on social media for supporting the University of Iowa Hawk eyes over her alma mater Stanford in the Rose Bowl. “Love my alma mater, but rooting for a Hawkeyes win today,” she tweeted. The Indiana governor has long standing Chicago roots. “Ever since I can remember, I’ve been a Cubs fan. 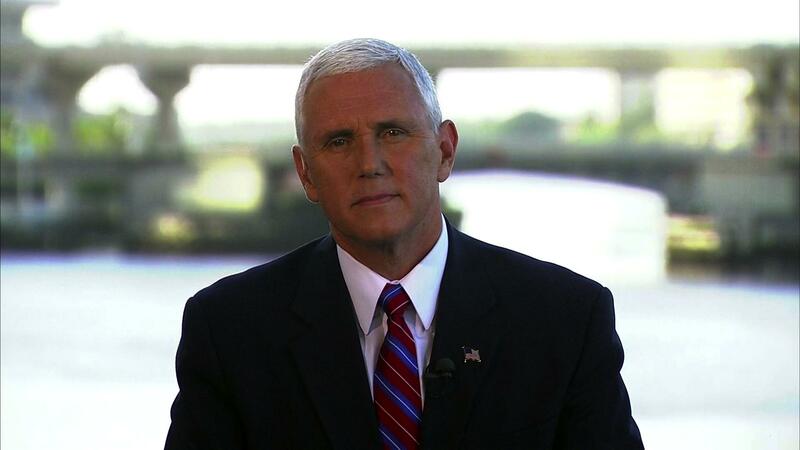 I went to Wrigley many times,” Pence told radio host Hugh Hewitt earlier on Tuesday. At rallies he tells the audience how his grandfather came from Ireland and drove a bus in Chicago for 40 years while his uncle served as a cop in the city. Game one of the World Series begins Tuesday evening at Progressive Field in Cleveland.